Second cache in our Caledonia tour and the first of a string of Virtuals. 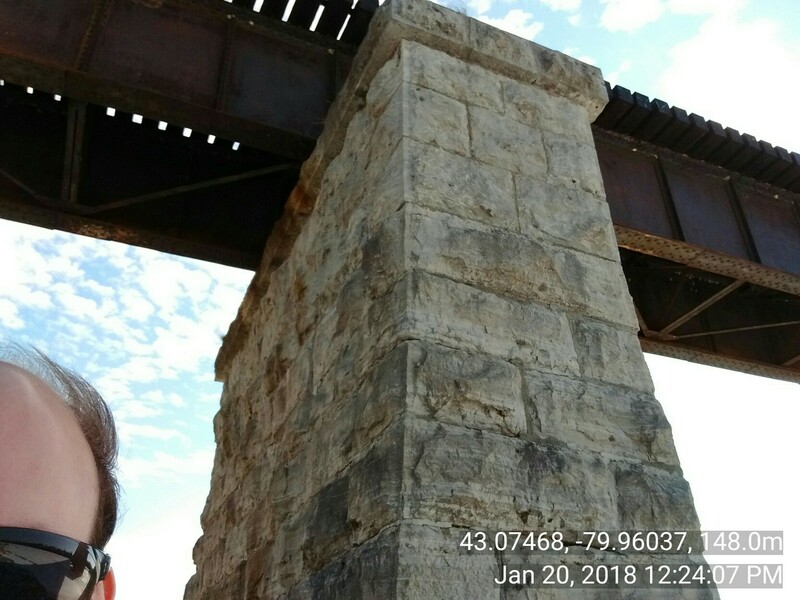 Is this bridge still used by locomotives? that would be something to see a full freight train crossing the river on this bridge. 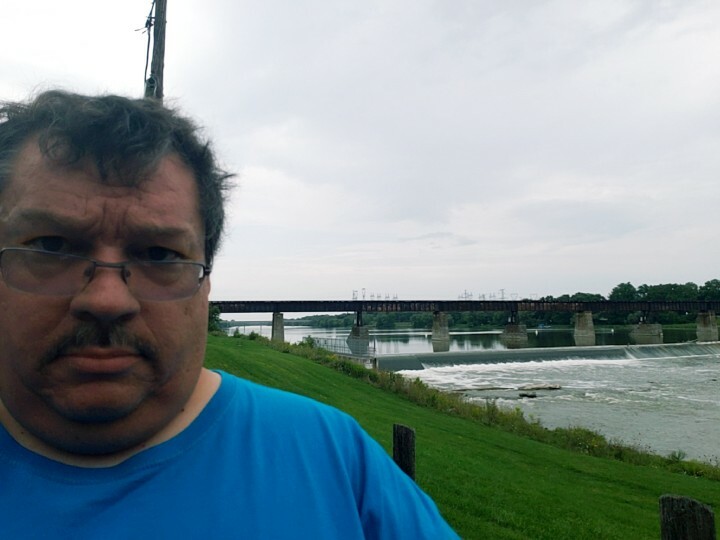 Had a hard time with the password since to me an arch has a curve - the caledonia train bridge has no arches. The question should read "how many support pillars" (I'm sure there's a more technically correct name for those) does the bridge have. Enter as digits, not as full words.